For Videos and More Pictures, visit our Facebook Page for the St. Maximus Orthodox Church Choirs, or our Facebook Page for Chantus Maximus. 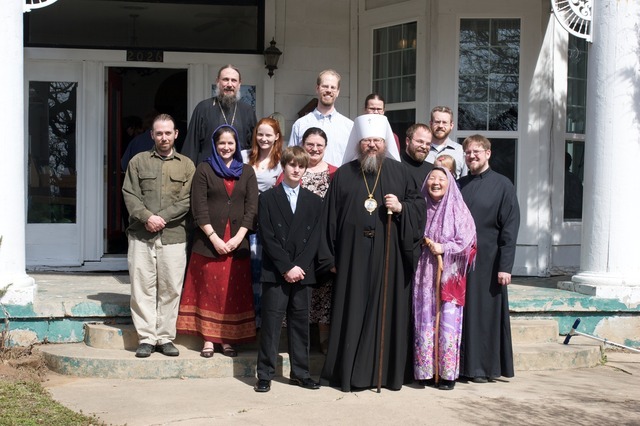 Welcome to the choir page at St. Maximus the Confessor Orthodox Church in Denton, Texas. Members of the St. Maximus choir sing at all services throughout a typical week. Choir rehearsals are held at least twice a month. The St. Maximus Choir has been under the direction of Subdeacon Anthony Stokes since the parish's beginning in July 2001. The choir has seen many changes over the years, from the days of having three female and one male voice, to a choir of six male voices and four female voices, and our current eight member choir. 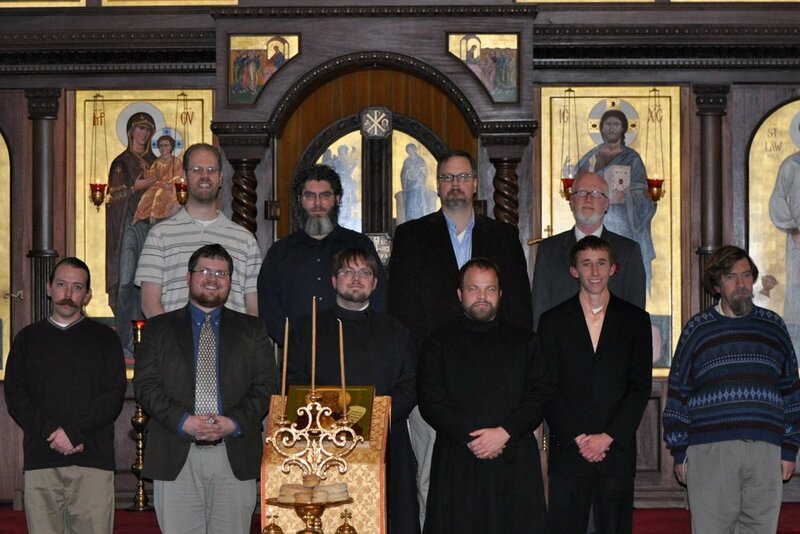 The men of St. Maximus joined together in 2009 to form Chantus Maximus, singing various services and concerts throughout the DFW Metroplex every year. The music provided on this page is just a sample of what we sing at St. Maximus. All Liturgy texts are from the Priest's Service Book translated by Archbishop Dmitri of Dallas and the South, OCA. Other texts have been adapted to fit the same style of English. The Obikhod schematics are given in the settings that we sing at St. Maximus. They are not the only way that some of the tones may be sung. The Sunday Octoechos will eventually contain at least the introductory verses at Lord, I have cried and the Praises, as well as God is the Lord and the Matins Prokeimenon for Vigil, and the Liturgy Prokeimenon and Alleluia.